Ladies of Intrigue (2019) is a good collection of novellas by Michelle Griep. This book is available in all forms including eBook, and is 288 pages in length. This collection reads as a stand-alone; it is not necessary to read any of Michelle’s full-length novels to understand the stories in this anthology. With a full-time job and an exceptionally precocious six-year old at home, this novella series took me three days to read. 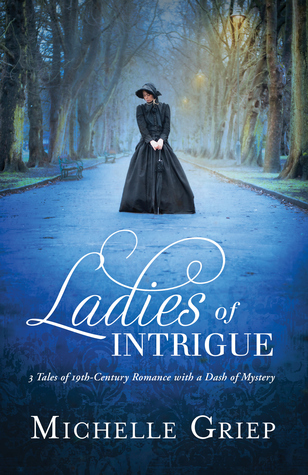 I received a copy of Ladies of Intrigue in eBook form from the publisher, Barbour Books, via NetGalley. In no way has this influenced my review. The opinions expressed in this review are my own. I give this novella collection 4 STARS. This collection is a Christian Historical Romance anthology. Helen Fletcher judges all by the actions of a few. She closes herself off from others by following a very strict code of self-made laws. A couple of times, Isaac, the hero of this story, explains to Helen that life is not strictly black and white. On this earth, humans live in various shades of gray, and Helen needs to be a little less judgmental and a bit more understanding of the plights of others. Yes, stealing is bad in and of itself and does break one of God’s commandments, but why is one stealing? Is the person stealing because he/she is pure evil and loves to get away with theft, or is the person down on his luck and responsible for a lot of mouths to feed? See — various shades of gray! I appreciate Isaac’s point. I can very much be a Helen who sees the world in stark black and white. But this story reminds me that I need to be more compassionate and more aware of others and their circumstances. Of the three stories in this anthology, I liked this one the best. I love Emmy and James, and I found their interactions to be the most relatable and endearing. What I appreciate the most about this fun story is its message on grace. Emmy is the daughter of a renowned doctor. She has followed her beloved father from patient to patient since she was a little girl. Although not formally educated in medicine, to say Emmy is a natural healer would be an understatement. James, however, is 1000% book smart. He is a city boy with a fancy degree. He knows everything there is to know about modern medicine. You can imagine how Emmy and James clash at first. Each character is sure his/her way is the best way to treat the patients. But over time, and by working side by side, Emmy and James realize that there is a lot to learn from one another. They show grace to one another, and realize just how valuable each one is. When we set ourselves aside for a moment, and pay attention to the God-given skills and talents of those God puts in our paths, we are able to see just how priceless others truly are. What a fantastic message for today! Of the three stories, “A House of Secrets” deals with a topic that resonated with me the most. Amanda, the heroine of this story, is so myopic it blinds her to the goodness and hard work of those around her. She becomes so self-focused on her good plans to help others that she loses sight of God. I am reminded of Matthew 7:21-23 where Jesus states, “Not everyone who says to me, ‘Lord, Lord,’ will enter the kingdom of heaven, but the one who does the will of my Father who is in heaven. On that day many will say to me, ‘Lord, Lord, did we not prophesy in your name, and cast out demons in your name, and do many mighty works in your name?’ And then will I declare to them, ‘I never knew you; depart from me, you workers of lawlessness.’” We humans can get so caught up in our self-righteous plans that we push God away. We are positive that through our plans we are working towards God’s best interests. Then, when things don’t go our way, we self-righteously get mad at God and throw our fists in the air. It is imperative, as Amanda discovers, that we recognize that God is the One and only Boss, and we can only serve His purposes in His way. To know God is to follow His ways — what an excellent and timely message for today’s reader. Overall, I very much enjoyed my time reading this anthology. Michelle Griep is a very talented story teller and author. 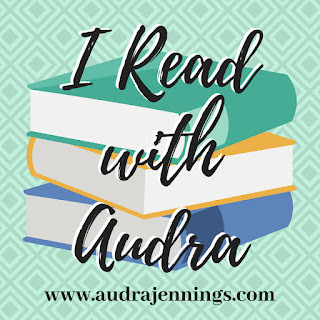 I found the plots of each story to be engaging and fast-paced, the characters are unique and endearing, and the messages are timely and inspirational. If you are a fan of good short story anthologies, I highly recommend Ladies of Intrigue. I can be a Helen Fletcher too. Great reviews for these! I have this on my kindle. I’m slow at reading ebooks, so haven’t really gotten into it yet! This sounds like a good one! Thanks for sharing.